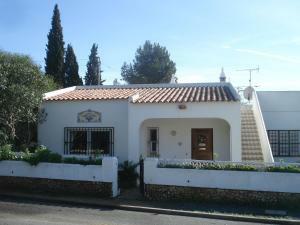 Discover the town of Quarteira and enjoy your holidays in Algarve. This charming and welcoming traditional fishing town has changed its humble appearance into a vast amount of hotels, apartments, and exquisite restaurants. It has become the perfect touristic destination. 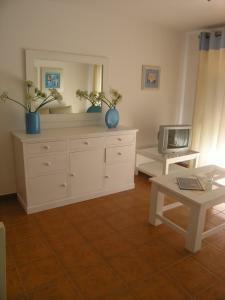 Here you will enjoy the beach, playing golf or exploring other neighbouring areas of Algarve. 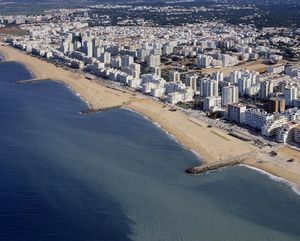 Transformed in the late 60s from a fishing town into one of Algarve’s most important destinations, this town is located next to the well-known Vilamoura. 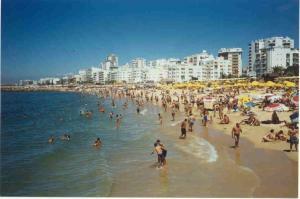 During the summer, large Praia da Quarteira Beach and the main avenues of the city are crowded of people. If you wish to buy fresh fish, as well as many other regional products, the city market is located next to the sea. On Thursdays, the “mercado cigano” or “gypsy market” attracts many visitors. Around Quarteira, it’s worth visiting the Roman Site of Cerro da Vila.